It’s time to cherish the little things in life along side the lovely Butwhymummywhy, reminding us that life is too short not to love the little things that make us smile and happy, each week. There is only one week left until my big American trip with my kids and therefore I am still attempting to tackle all the blogs I love so much and the linkys I join into each week. Storing up my comment love so everyone will forgive me while I attempt to live out of a suitcase for two months with my kids and go from house to house, city to city, visiting my friends and family. Here are a few bloggers that have been writing up a storm this week, and keeping me entertained. Along Came Cherry, Capture by Lucy, Shutterflies, Not A Frumpy Mum, Potty Mouthed Mummy, The Mummy Adventure, and Mummy Daddy and Me: just to name a few. Emma at Life at the Little Wood, has me absolutely glued to her “marriage” series. I am so hooked, and always excited to see the next one posted. She references each post to a food that always fits perfect to her point, and is such a great read. It makes you want to be the best couple you possibly can be, after you read it and her and her husband’s relationship is truly inspiring. I know it’s been played to death everywhere, but after having date night the other night with Mr P and hearing this song, it now makes me smile listening to it and brings good memories flooding in. 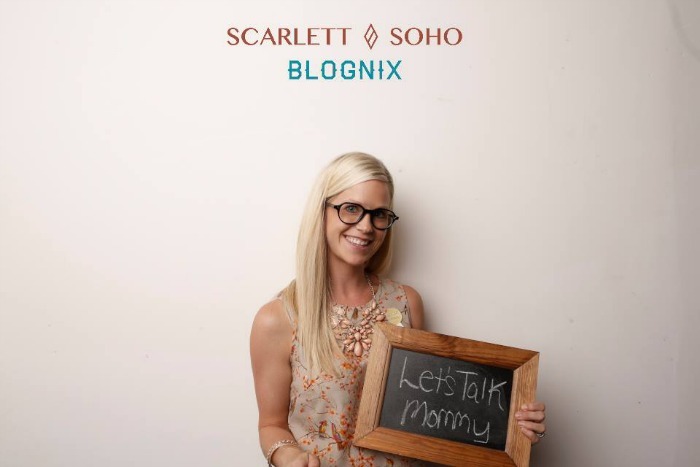 As many of you know, I am at BritMums Live today and tomorrow along with so many other amazing bloggers. 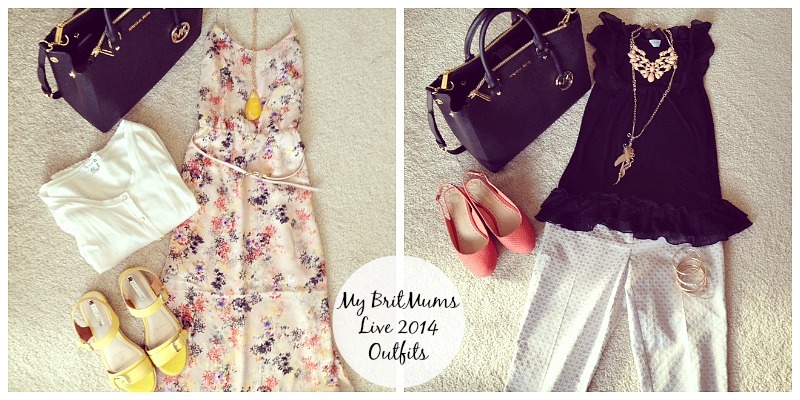 Here are my two outfits for the big weekend!!! Outfit #1 : The dress is from Oasis, yellow shoes and necklace are Henry Holland from Debenhams and my white cardigan is from Forever21. Outfit #2: The black top is from Oasis, chunky necklace and bracelets are from Forever21, long necklace is from Oasis, coral shoes are from Roberto Vianni, silver cropt pants are from Matalan. This week has been total craziness in our household and therefore I have had very little time to catch up on all my favorite shows or watch any movies to share with you. I have been watching my computer screen or watching my children play in their paddling pools in the nice weather. Both great things to watch but failing to report here. Sorry. I am really getting into my cooking/baking and staging my photos to go along with it. I have been practicing food photography for a few weeks now and I already am seeing a great improvement. These came out so delicious to, the whole family were really pleased with them. I used to make them with blueberries but my kids prefer blackberries as do I. Click the photo for the recipe. It’s fast and easy, I promise. 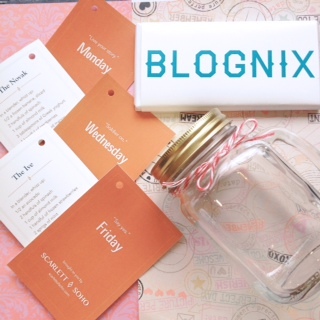 I mentioned last week that I was off to Blognix in Birminham. I couldn’t have come away more happy with so much more knowledge of the business side of having a blog. My head is swimming with ideas, to do lists, and gave me a clear direction where I want to take my blog now and in the future. It was such a great day meeting other bloggers and I am so glad I went to prepare me a little bit more for this weekend at BritMums Live!!! The goody bag was amazing too! Love the little Monday – Friday recipes, the jar mug and the chocolate was absolutely delicious, melted right in my mouth. And a little whisper that I am a TuttiBambini blogger now! Check out my first guest post for them on their blog! They contacted me the other day and I was excited as I have their furniture in Missy Moo’s room! Love it. It’s been an action packed two weeks and next week doesn’t look any quieter before I got to America, with a friend’s 40th, races in Chester, company family day all before we go! ooohh those muffins look amazing! I haven’t baked anything for ages, I must get back into it. It’s exciting but two babies and myself living out of suitcase will be tough. Lol so happy to see friends and family though. Oh thank you! So sweet of you. It was a great weekend and amazing to meet so many great bloggers. Love all of this Jenny, obvs!